Whether you are considering Chaga for the first time or looking for a refresher, think of this blog as a healthy sip of what you want to know and what you should know about Wild Canadian Chaga Mushrooms. I am Tao Wu from Tao Tea Leaf, and I am writing to support your thirst for learning about and (hopefully) trying Chaga Mushrooms. Chaga (scientifically known as Inonotus obliquus) is a big fungus that typically grows on yellow and white birch trees; it has a black charcoal outside and a golden colour on the inside. Chaga is well known for its richness in Beta-Glucans, which contains cancer fighting properties, and a woody and loam notes taste. A few alternative names for Chaga includes Clinker Polypore and Birch Conk. The "Gift from God" and also nature's "King of Herbs" are just a few phrases that truly make this mushroom shine; and this is due to its strong presence or roots in times before Christ and traditional Asian medicine. Back then and leading up to this day, some specialists (herbalists, tea sommeliers, etc.) believe that a daily supplement of Chaga plays a hearty role in boosting the immune system and encouraging positive life energy (“Chi”) for growth and development. … and some just drink it leisurely. Where can you find Chaga Mushrooms? These Mushrooms grow best on the outside of yellow and white birch trees in cold climates (e.g., Canada, Russia, northeast China, and northern areas of Europe and the United States). The average size of a full-grown mushroom is 15 to 20 inches, but they can definitely grow larger. 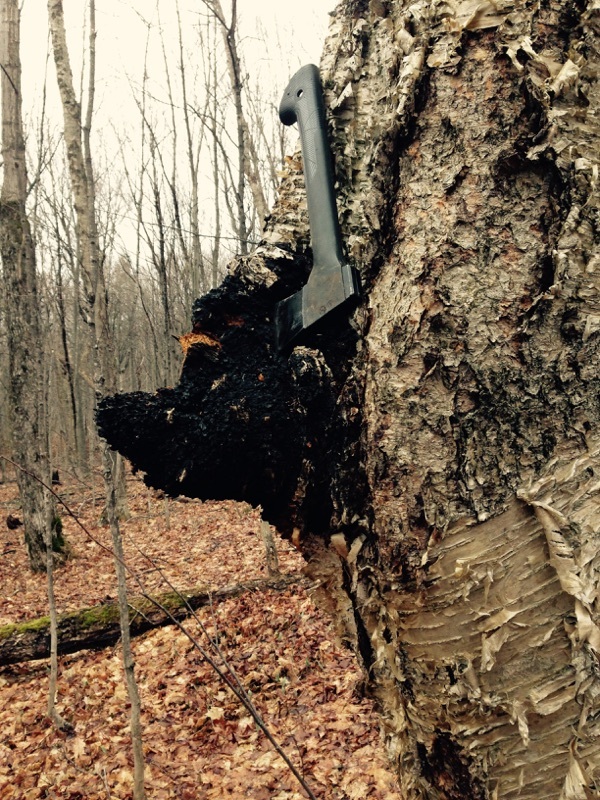 Delicate and mindful techniques are required when harvesting Chaga; healthy preservation of the host tree, to protect it from infections and to support Chaga regrowth, is very important. The best farmer will trim only the “mushroom” from the host tree. To boost the nutrient content of fresh Chaga, it has to be dried (naturally under the sun or in a drying room) to remove excess moisture. Some tea aficionados believe that the smaller the size (or “cut”) of the packaged Chaga the more nutritious the brew will be, and that the body will process more of its goodness faster. Chaga Chunks - normally cut into pieces of about 1.5 inches; can be reused about 4 times. Some users may choose to break the chunks into a smaller size (now known as Chaga Fine-cut/nuggets - these pieces can be reused about 2 times. Feel free to add them to your tea bags (you can make up to 10 rounds of steeped Chaga tea using this method!). Chaga Powder – milled at a low temperature (maximum 120 degrees F) to preserve nutrients. This texture is an excellent perk for tea bags and smoothies! You might even find Chaga in a capsule or concentrated liquid form. In laboratory studies Chaga has been shown to demonstrate anti-cancer activity as well as anti-inflammatory, antiviral, and immune-stimulating properties, according to the Memorial Sloan-Kettering Cancer Center. This bitter mushroom is sometimes used for pain relief. Always consult a health care provider before trying a medicinal plant, especially if you take medicines or have a health condition, because consuming it may lead to unwanted effects. Plus, to get the most of your Chaga (every morsel of nutrition) reuse the chunks a few times or until the taste and colour gets lighter. Why should you consider Wild Canadian Chaga Mushrooms as a top choice? At Tao Tea Leaf, we use the same idea when we source tea, we source from the root and aim to make the shortest distance between Chaga and your cup. We have strong long-term relationships with local wild Chaga mushroom hunters (in Canada), and we encourage this dedicated team of farmers to use the best harvesting (from the purest environments) and sustaining techniques, so that we can continuously bring this premium flavour to you. Additionally, we strive to collect the largest size of Chaga mushrooms and maintain the chunks in its original size from our hunters, so that Tao Chaga presents a robust quality for your individual or wholesale needs at the Best Price Guaranteed. Click here to check out our Chaga selection and you can shop online and/or stop by the store.